This topic contains 0 replies, has 0 voices, and was last updated by Mike Haldas 7 years, 6 months ago. A customer contacted CCTV Camera Pros with the following question regarding a multiple location CCTV DVR surveillance solution. I am looking at a 4 – 16ch surveillance dvr system for our installation. My question is 'how do I link all 4 dvr to review events'. On my existing system, there was only 16 cameras & one DVR, no problem but with this new system we will need to link all 4 dvr to be able to view the progression of any event across all cameras. How can we achieve this? As I said the old system is obsolete & the company that installed it can not give me an answer. I want to ensure that we get the right system. The CMS software for the iDVR-E4, iDVR-E8, and iDVR-16 stand alone DVRs will allow you to view all of your cameras at the same time. The software will also allow you to see any alerts/events such as from motion detection. You can see this in the Health Report/Event Log as seen below. 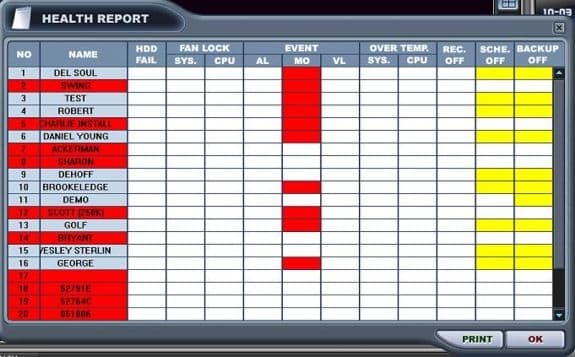 Red is an indication that motion is taking place on the associated DVR/DVRs. It does not tell you exactly which channel the motion is taking place on in the Event log. However there is an overlay on the each camera channel that will inform you of motion. 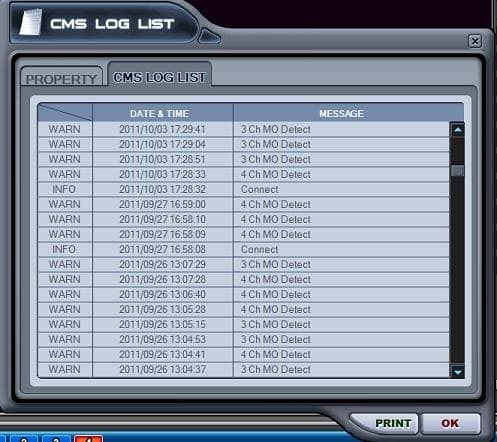 There is also a CMS log recorded per DVR. That shows you time date and the camera the event occurred. This is on an individual basis. See below. NOTE: You can only view one DVR log at a time. 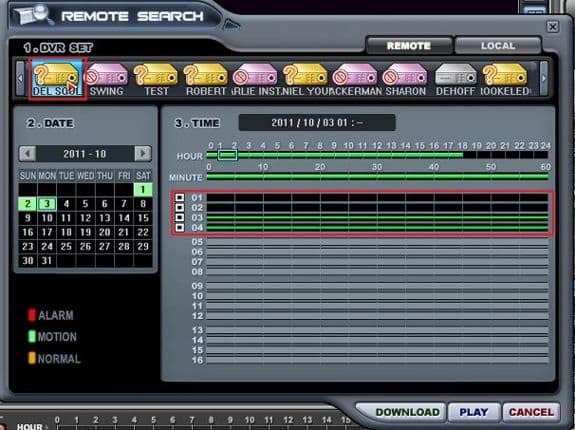 Unfortunately, the central monitoring software does not bring up a single log for remote playback for all DVRs combined. You will have to view playback individually per physical DVR. Please see below. You will notice it brings up all of the saved DVRs. However it will only bring up the timeline for the selected DVR. NOTE: You can not select multiple DVRs simultaneously.